The Robert and Penny Fox Historic Costume Collection of Drexel’s Westphal College of Media Arts & Design presented a retrospective exhibition of work by renowned fashion designer James Galanos, considered by his peers to be one of the greatest and most creative of American designers of the 20th century. 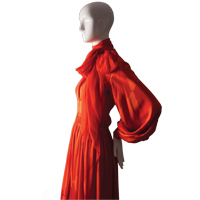 The exhibition, James Galanos: Design Integrity, placed his work in the context of American fashion from the post-war period through the 1990s and celebrated his innovative approach to construction and embellishment. The exhibition drew heavily from the primary materials of the James G. Galanos Archive at Drexel, creating an immersive experience and allowing for a greater understanding of this intensely private designer. The exhibition was made possible by support from the Richard C. von Hess Foundation, the Coby Foundation Ltd. and the Iris & B. Gerald Cantor Foundation. 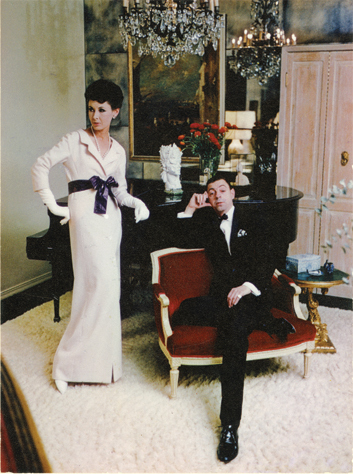 On view were John Galanos’ ensembles alongside a rich array of sketches and photographs.